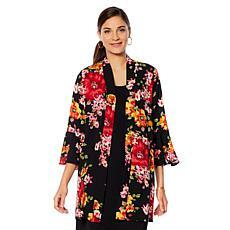 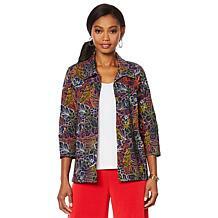 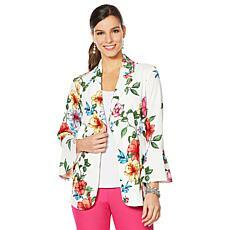 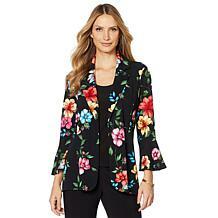 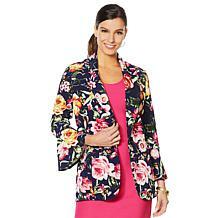 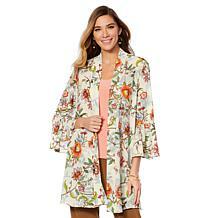 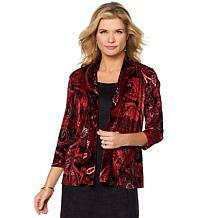 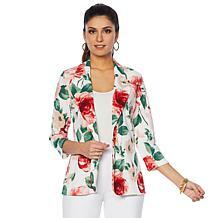 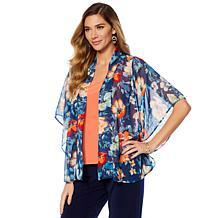 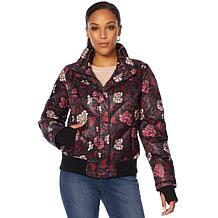 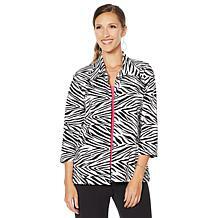 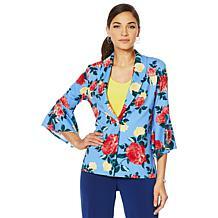 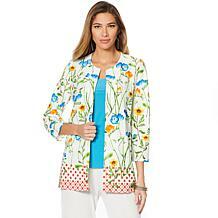 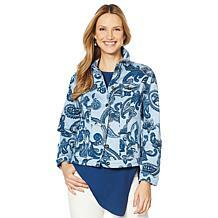 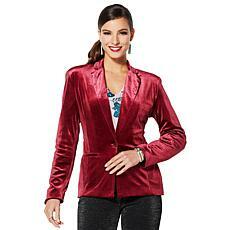 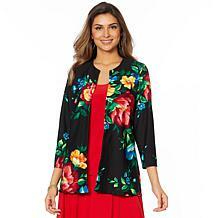 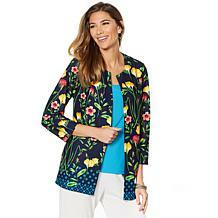 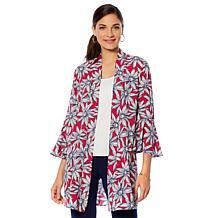 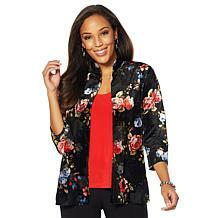 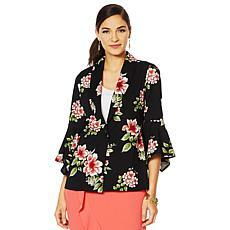 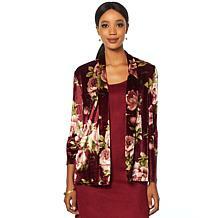 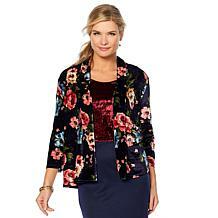 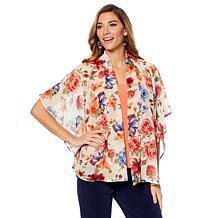 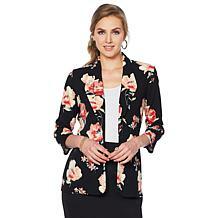 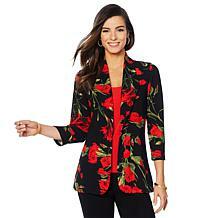 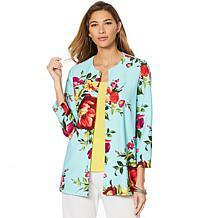 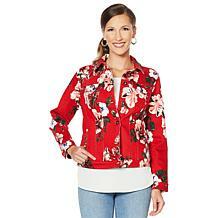 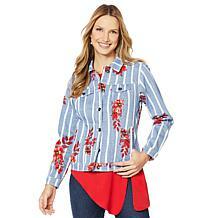 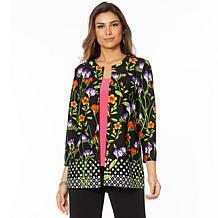 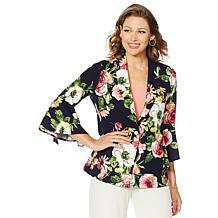 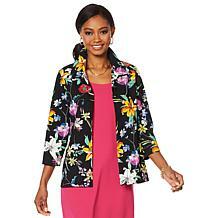 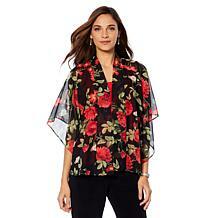 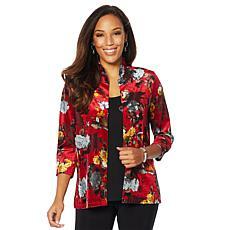 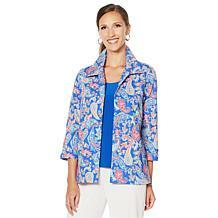 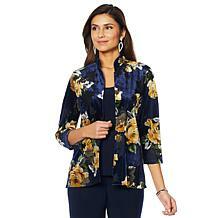 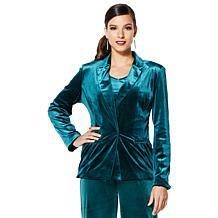 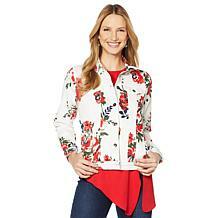 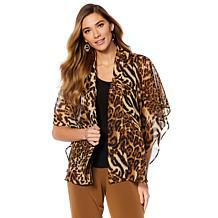 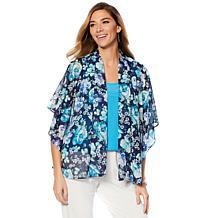 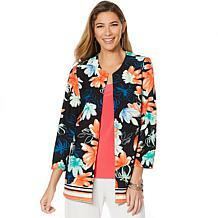 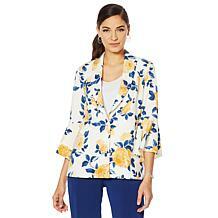 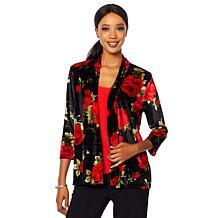 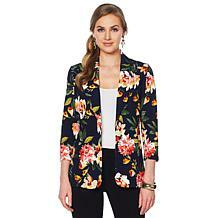 Slinky Brand Bracelet-Sleeve Floral Print Jacket Nothing enhances an ensemble like a fun, fashionable print. 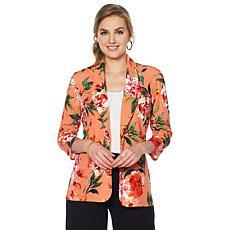 Throw this jacket on over your basic pieces and dramatically transform your look, creating perfectly coordinated outfits for work or social. 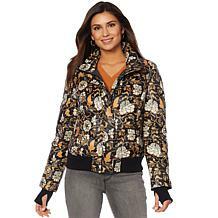 Slinky Brand 3/4- Sleeve Printed Peplum Sweater Jacket Flattery gets you everywhere and this peplum jacket is no exception. 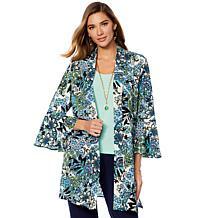 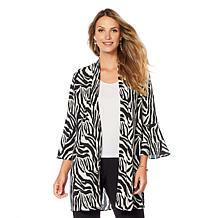 Worn over a dress or paired with skinny jeans and a tee, this jacket adds gorgeous print and a great silhouette that looks good on any body.